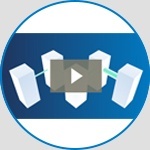 CommScope has released the latest version of its award-winning DCIM software suite, iTRACS® DCIM 4.1. The 93PS is a cloud and virtualisation-ready UPS that offers IT professionals unmatched system resiliency. Discover Raritan's button locks, retention clips and secure locks, which help prevent power cords from falling out. The nomination and voting was carried out independently by the readers of Security, Sales & Integration magazine. 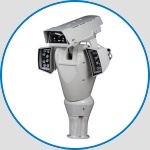 These thermal high-speed pan and tilt network cameras are suitable for a range of light conditions and surveillane areas. Public transport operators look to expand use of real-time surveillance and video analytics to further protect riders and equipment. Co-authored with DatacenterDynamics,the briefing contains best practices needed for a high-performance, future-ready structured cabling solution for a data center.